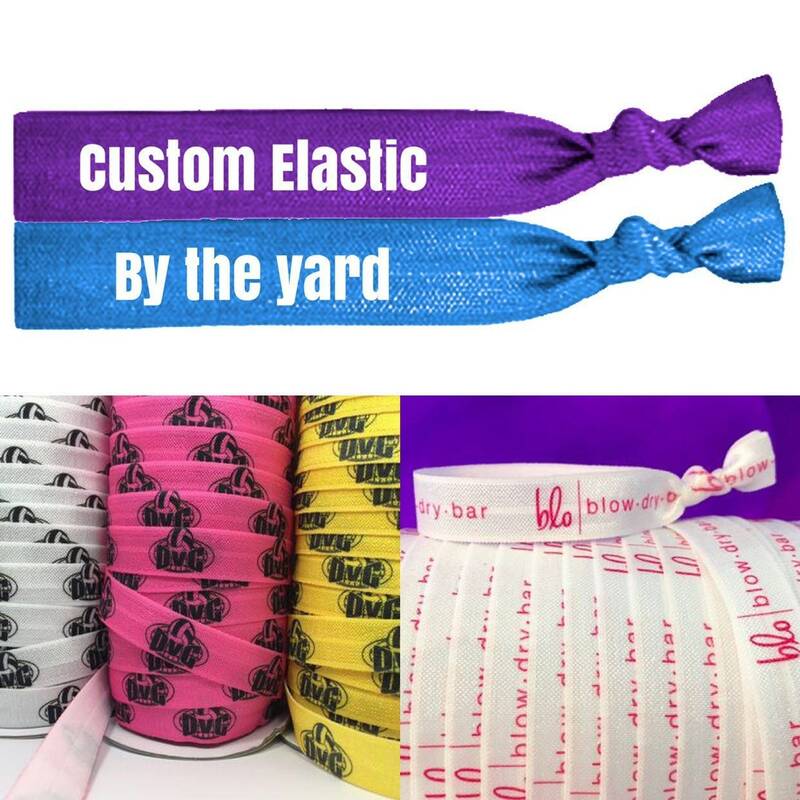 Please describe in detail what you’d like your custom elastic to look like. Desired colors, fonts, images, etc. Add ANY TEXT or LOGO! Custom Elastic can be customized with your company’s name, advertising message, or logo. Use to promote sports teams, as branded goodies at weddings and baby showers, and as giveaways at trade shows. Printed in full color - unlimited colors can be printed for no extra charge! Any image created on a computer can be transferred by heat onto the elastic. Measurements: Choose from 5/8" or 1” wide fold-over elastic.